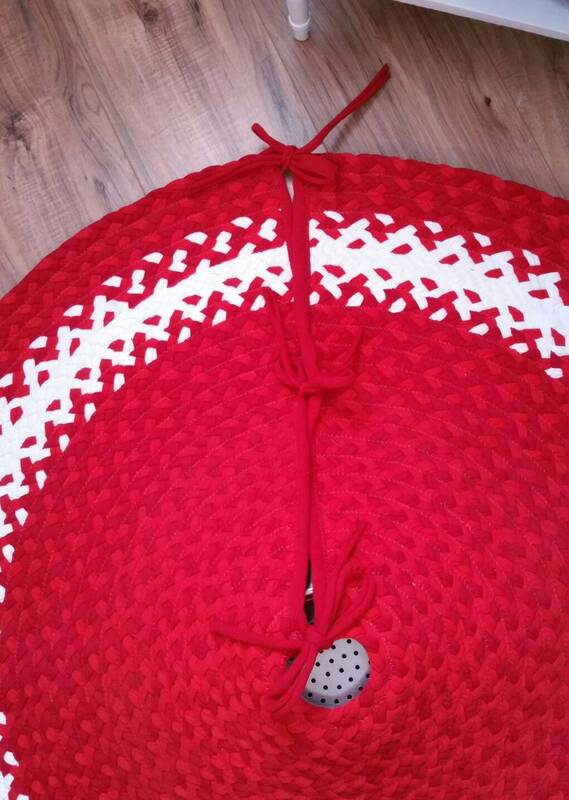 Red and white braided rug skirt. 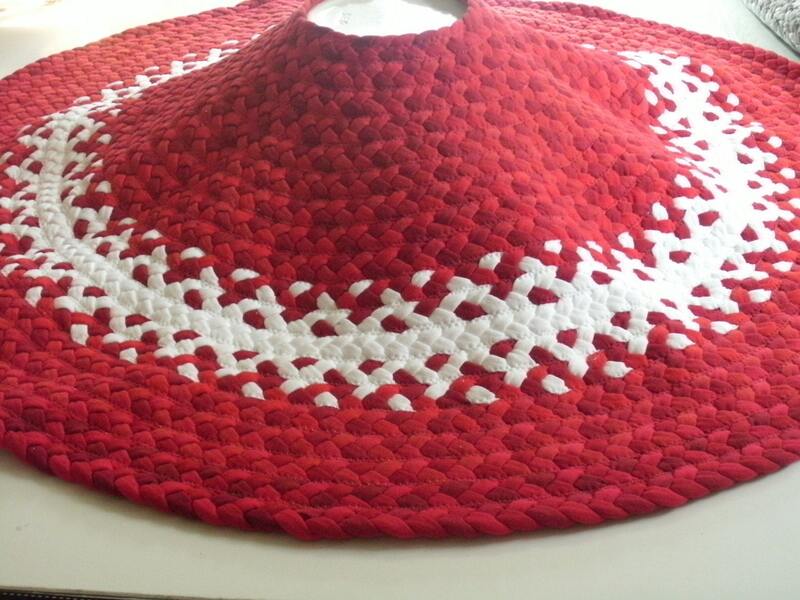 This is made just like my rugs and will give you years of use. The reds are random recycled t shirts. they are bright and cherry red. 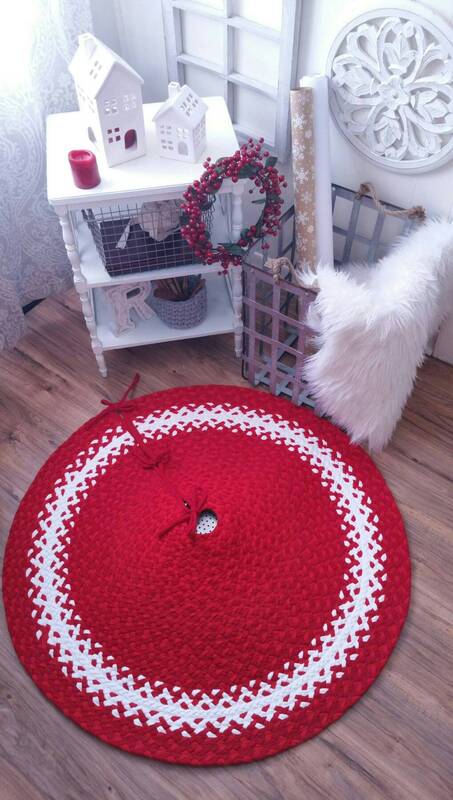 Beautiful mixture of reds and white braided rugs created from super soft cotton. 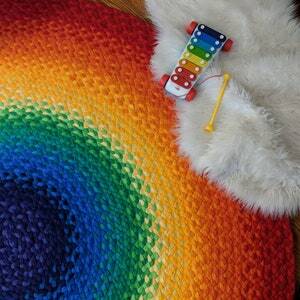 Soft, durable and practical, 2 sided design. 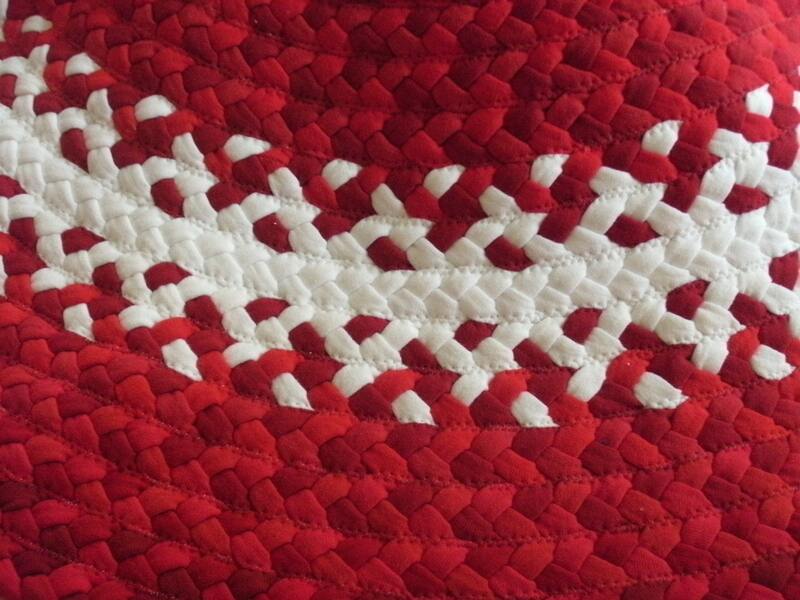 Hand crafted in the USA, made from new and recycled cotton materials. 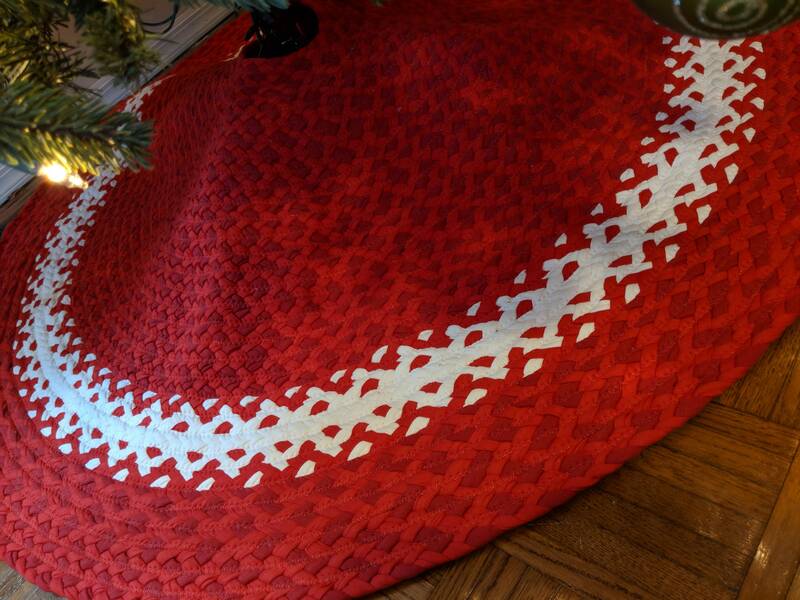 These braided rugs are soft underfoot, easy to care for and machine washable. 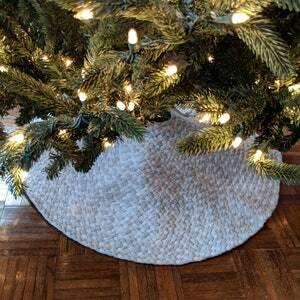 You will feel like you are walking on soft cotton moss. 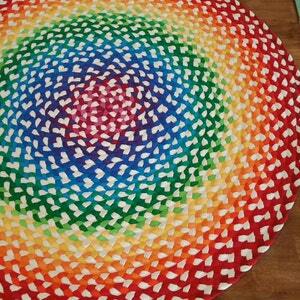 Experiencing one of these rugs will inevitably make you want one for every room in your home. 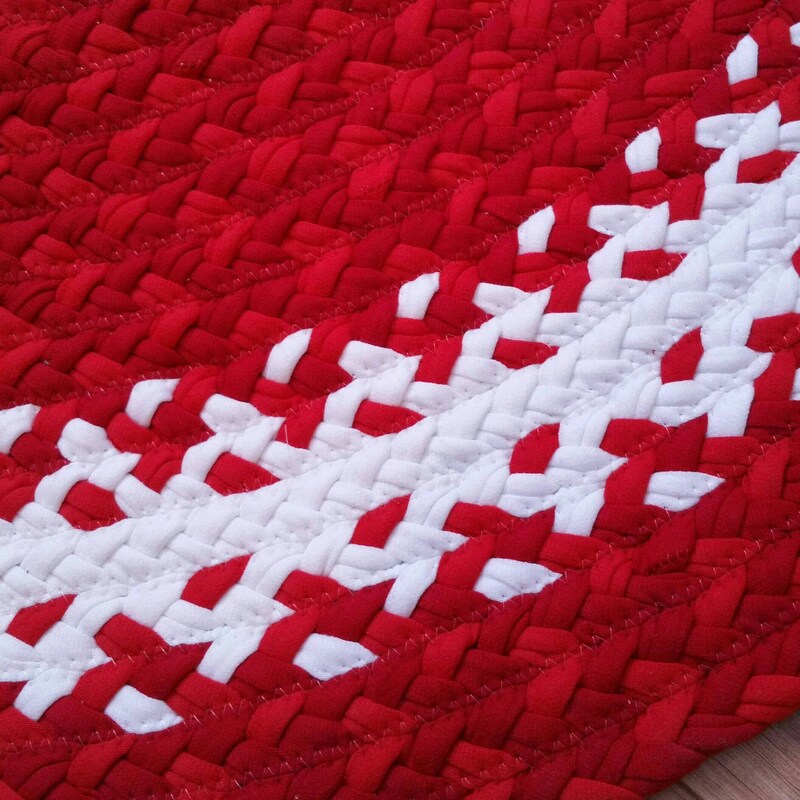 Braided and sewn together on a professional grade sewing machine, in a non-smoking environment. Many Sizes and shapes are available .½” thickness. 100% cotton. Handmade in the USA. 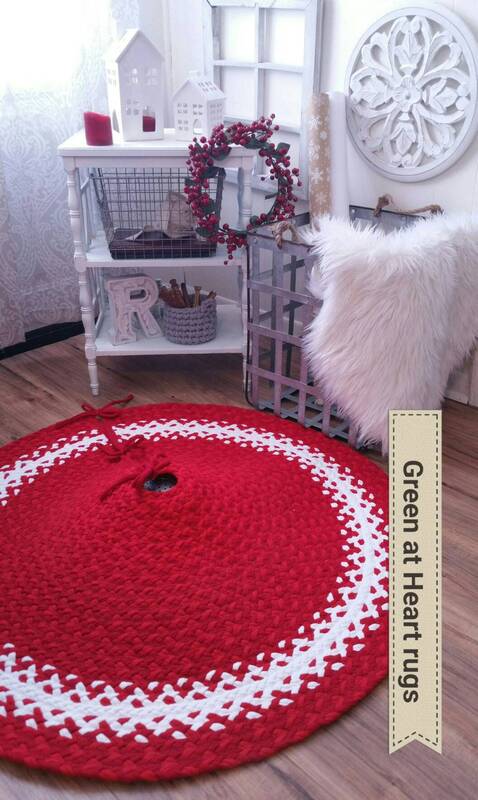 Beautiful well made. I look forward to using this item! Lovely, high quality and quick turnaround. 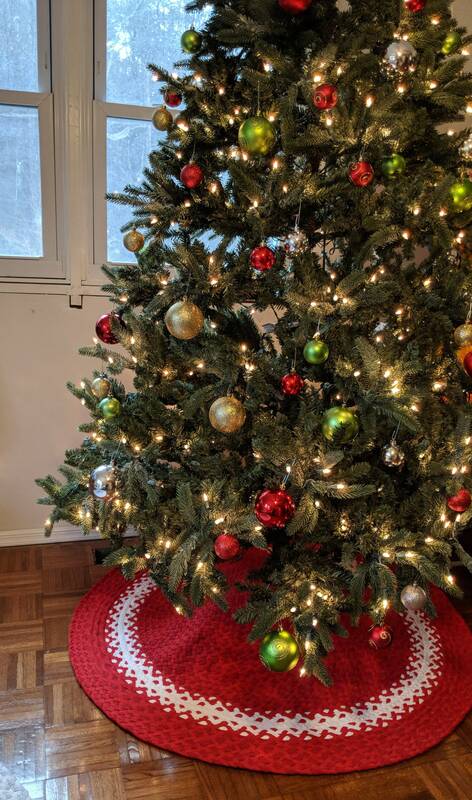 We love our tree skirt. AMAZING!! 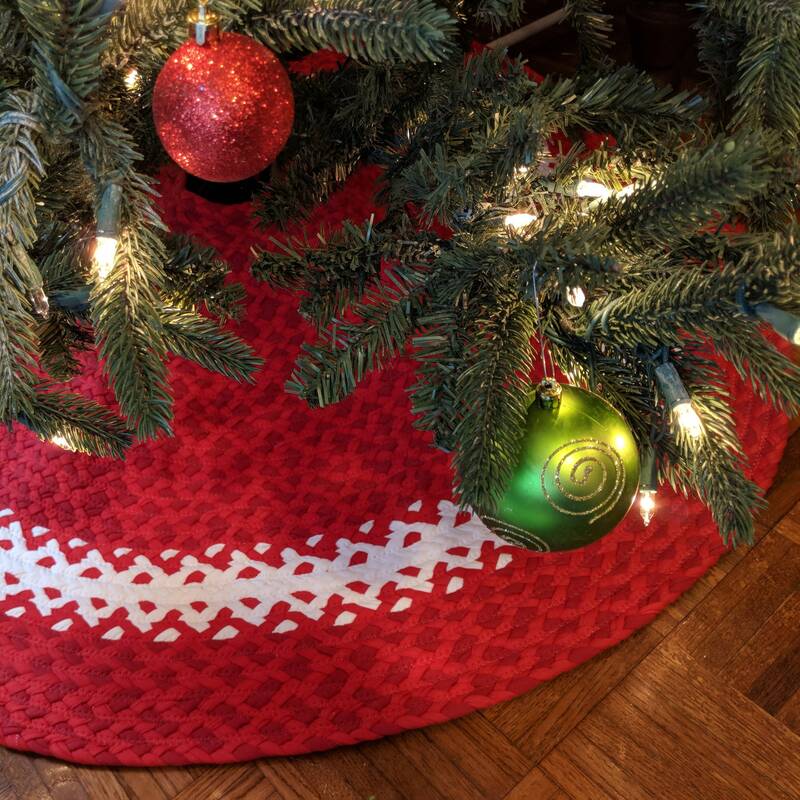 I've been looking for a washable treeskirt that I like for YEARS and saw this and new it would be perfect. Cannot express how much I really love it! Additionally... it's gotten a TON of compliments. woohoo! Exactly what I wanted...Its perfect!